After earlier successful cooperation, Ducati and manufacturer of clothing, Diesel, once again joined forces and created a special edition model of the Italian company. 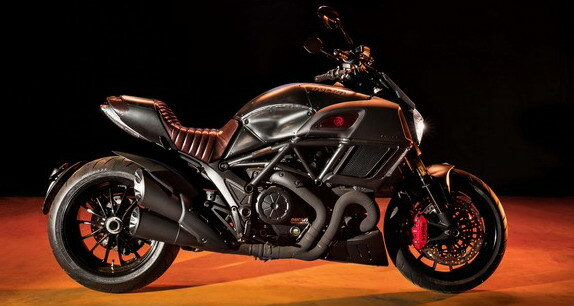 Meet the Ducati Diavel Diesel, hell of a motorcycle, which will be produced in a limited edition of - 666 copies. 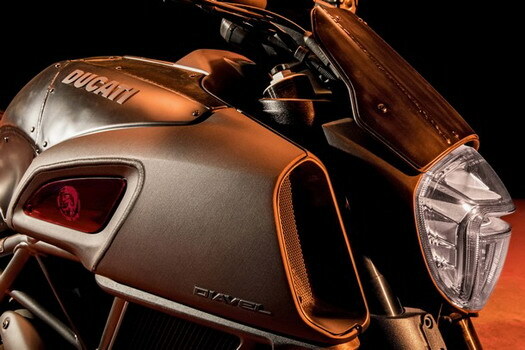 Unveiled at the recently held fashion week in Milan, the Ducati Diavel Diesel is the fruit of cooperation between the design center of the Italian manufacturer and Andrea Rosa, creative director of Diesel brand. Like the previous Monster editions, Diavel Diesel has several unique characteristics. What immediately catches the eye is extremely processed fuel cap of stainless steel. LCD instrument panel has a red backlight, while the exhaust has a black ceramic Zircotec coating. Custom made seat brings a unique design, and red Brembo front brake calipers and the Diesel logo on the inner part of the air intake extend the sense that leave details. 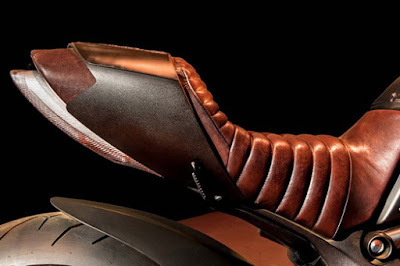 The end result is a motorcycle a bit raw and sharp looks, that leaves an impression. One can not overlook the "heart" of motorcycles, Testastretta V-twin engine, the volume of 1,198 cubic centimeters, unchanged compared to the standard Diavel. This means that you can use still excellent 162 hp.